We are making changes to Mixlr so we can focus on providing a better service to our customers. As part of these changes we will be discontinuing the free Basic plan. From 17th May 2017 in order to continue broadcasting on Mixlr, Basic users will need to upgrade to Premium, Premium Plus or Pro. The Basic plan gives broadcasters a very limited taste of what Mixlr has to offer. We want to ensure that all broadcasters have the opportunity to try the full set of features that are available on our platform, so we recently experimented with offering free 14 day trials of our paid plans for new users instead of the Basic plan. We found this approach works much better for our users, and will enable us to better support our customers going forward by offering new features like in-app support. As well as additional broadcast time, the paid plans offer many features which aren’t available on the Basic plan such as event scheduling, audio quality switching, advanced stats and access to your live stream URL. As a small team we work tirelessly to build technology that makes broadcasting live audio easier. 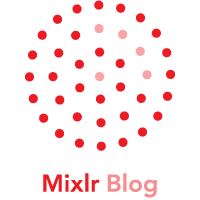 If you have been using Mixlr Basic we would love for you to continue broadcasting with Mixlr, and hope you find enough value in our service to stay with us after the Basic plan is no longer available. To read more about Premium, Premium Plus and Pro, visit our plans page. If you have any questions about these changes, please drop us a line.